Although people successfully treat short-term insomnia with sleeping pills, many become dependent on them. People do not normally start out with the intention of becoming addicted. Many start off taking sleeping pills that have been prescribed by their doctor for medicinal purposes. They later become dependent on this medication and might take it even when it is not required. There are also those who use this medication as a means to enhance the effect of alcohol or other drugs. People can grow to like the way that this type of drug sedates them and calms down the mind. Taking sleeping pills can create similar feelings to being drunk on alcohol. It can be tempting for individuals to abuse these substances as a way to escape their problems. Withdrawals symptoms will commence if the individual tries to quit the drug or significantly reduces the dosage. The individual will feel compelled to take higher doses of the drug. This means that there is the risk of overdose. This type of drug abuse can lead to depression. There is an increased risk of suicide. People can be at much higher risk of accidents. Sleeping pills cause deterioration in the individual’s sense of coordination. Abuse of these medications can damage body organs. Different physical symptoms are associated with different types of sleeping pill. For instance, benzodiazepine abuse can lead to blurred vision and respiratory problems. 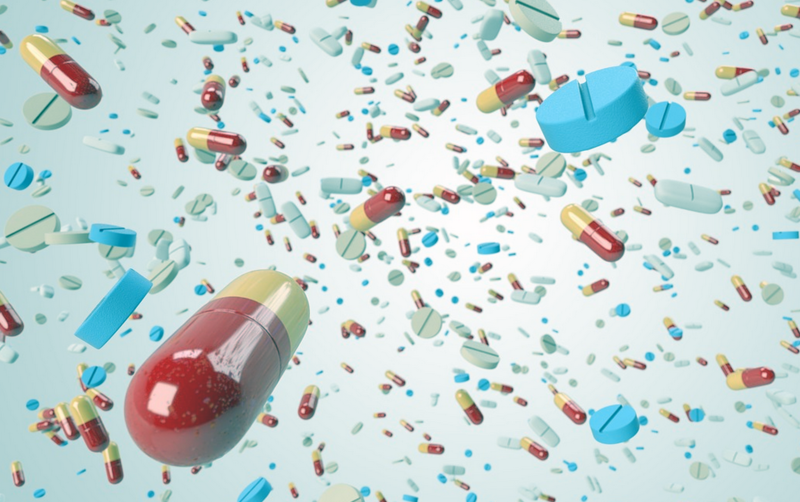 There will be an obsession with ensuring a regular supply of the drug. The individual may become willing to break the law or act unethically in their attempts to obtain sleeping pills. About 10% of adults in the US have a problem getting or staying asleep. Up to 40% of adults will occasionally have this problem. Benzodiazepine sleeping pills are the most widely prescribed with up to 100 million prescriptions a year. The number of people who rely on this medication to get to sleep is increasing each year. As more people use the drug there is sure to be a growth in the number who become addicted. Determining an exact figure for people who become addicted to sleeping pills is difficult. Many who end up seeking treatment will also abuse other substances such as alcohol as well. Research suggests that the most effective method to cure chronic insomnia is to treat the underlying disorder rather than simply use sleeping pills. Cognitive behavioral therapy, in which individuals learn how to change their behaviors to promote better sleeping patterns, is considered the most effective treatment for chronic insomnia. Cranial electrotherapy stimulation can improve sleep quality. You clip electrodes on to your earlobes for 20 minutes every evening to send tiny electric signals to the brain and help you feel more relaxed. This entry was posted in CES v. Drugs, Sleep Problems on January 24, 2018 by cesadmin. 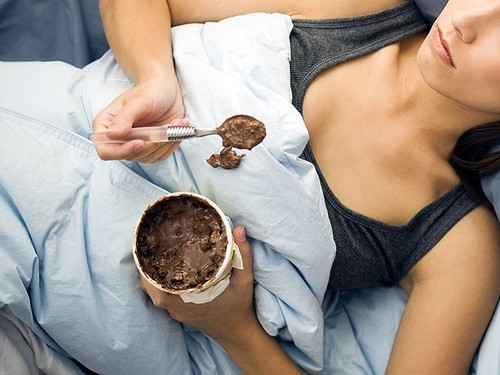 Is the trick to cutting cravings for sugary foods as simple as getting a good night’s sleep? A new small study from the United Kingdom suggests that may be the case. Earlier research has shown that more than one-third of U.S. adults get 6 hours or less of sleep each night — less than the recommended 7 to 9 hours, according to the study. With that in mind, the researchers chose to examine whether a sleep consultation could help adults get more shut-eye and how doing so might affect their daily nutrient intake. In the study, the researchers recruited 21 individuals to participate in a 45-minute sleep consultation designed to extend their sleep time by up to 1.5 hours per night. Another group of 21 participants were also recruited but did not receive intervention in their sleep patterns, therefore serving as the control group, according to the study. The results showed that the participants who increased the amount of sleep they got each night reduced their added sugar intake by as much as 10 grams the next day compared with the amount of sugar they consumed at the beginning of the study. These participants also had a lower daily carbohydrate intake than the group that did not extend their sleep patterns, the study found. Go to bed at roughly the same time every day, even at weekends. Lie-ins make it harder to get to sleep the next night, setting you up for a troubled week. Avoid screens late at night, especially laptops and tablets. The bright, close light tricks your brain into thinking it is earlier in the day. Begin winding down for at least an hour before getting into bed, allowing your brain to slow down. Intense activity, be it work or exercise, will keep you awake even if it tires you out. Keep drinking water. Dehydration is the primary cause of ‘shallow’ sleep, so while you don’t want to wake up needing the loo, take on enough fluids to stop yourself waking up thirsty. Never go to bed hungry, but eat the right foods before bed. Turkey, warm milk, honey, camomile and Marmite are all recommended. Cranial electrotherapy stimulation (CES) uses a gentle electrical impulse applied to the ear lobes that is anatomically transferred to the brain. By allowing the brain to “reset” to its normal rhythms, CES creates a new and healthy habit for your sleep patterns. CES unit is handheld, and is designed to be used at home. Studies show that within two weeks of daily CES use you will see a substantial decline in your sleep problems. This entry was posted in Insomnia, Sleep Problems on January 10, 2018 by cesadmin.